It's Sunday and raining and I am of to my wonderful LMQG meeting in a few hours. But first I thought I share with you a few fabric pieces that arrived in my house last week. I have stumbled across a new to me online fabric store called Frumble (great name !) that has a very good selection and website where I bought these beauties here. 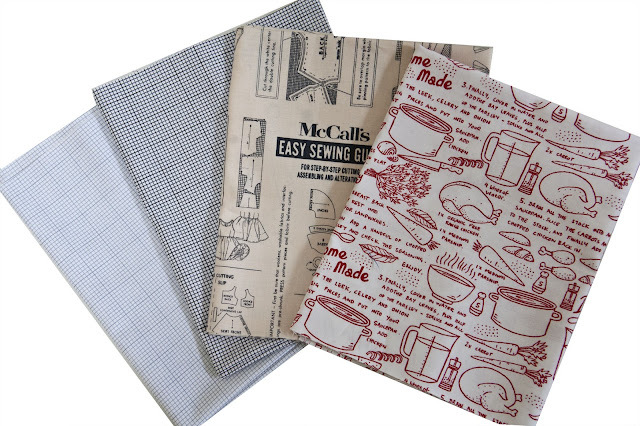 From left to right these are Caligraph paper in grey and black, McCalls Dress Maker Pattern and best of all, Chicken Soup in red. And then I also bought a jelly role of Lucy's crab shack at the Eclectic Maker that I have in fact already started to make into a wonderful little quilt. How strange, I just remembered Frumble this morning. I love the Chicken Soup fabric. 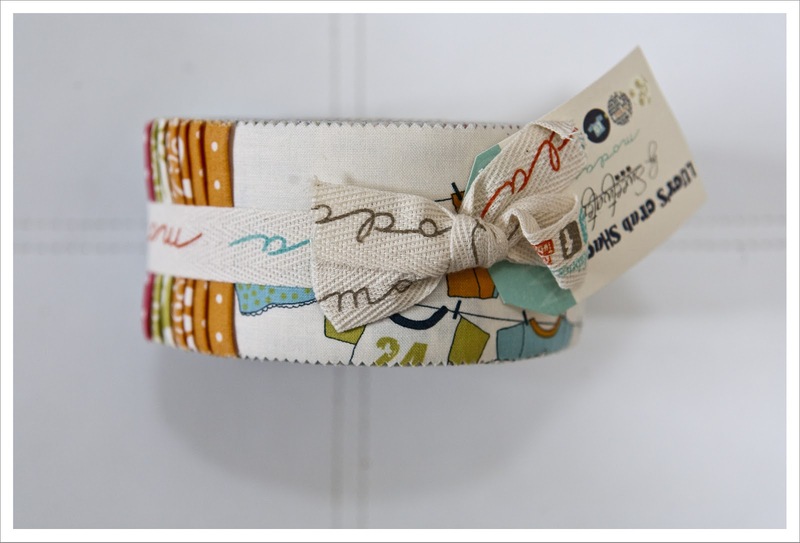 And another :drool: over your jelly roll. I was only looking at their website yesterday and ordered the same two graph papers! It's a little treasure trove! I love the graph paper fabrics!